As such, you’d think Honda would take the lead in terms of evolving the technology and developing new standards. But oddly enough the first mass produced hybrid vehicle (and many Honda hybrids that followed), didn’t really do much for Honda’s fortunes. 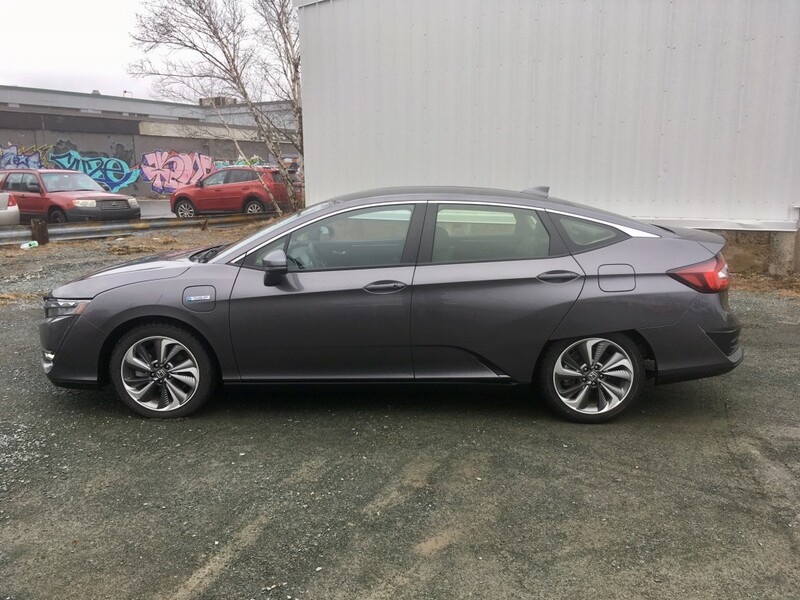 It could have been that the first generation’s styling that was too polarizing, or it could have been that Toyota then leaped into action making the comparatively successful Prius by the time the second generation Insight came around. 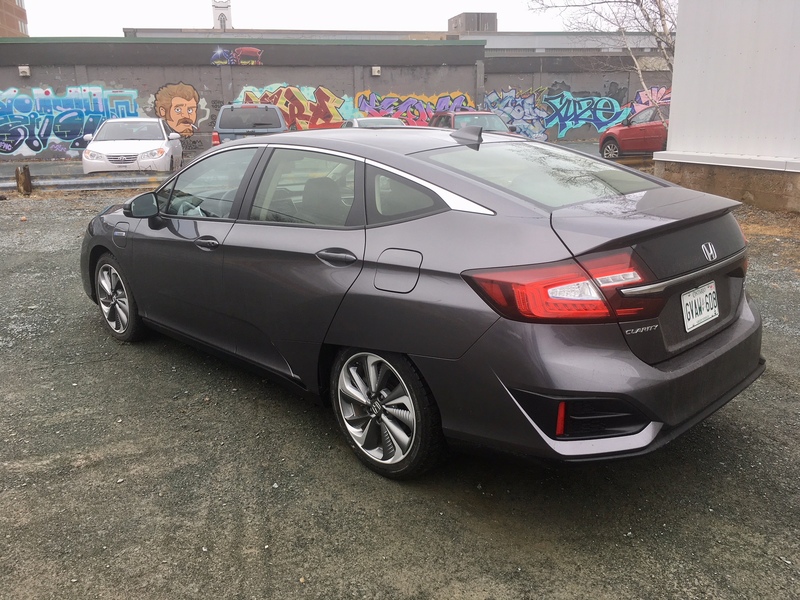 Whatever it is, Honda doesn’t seem to get the same credit and attention to its hybrids. The Insight was later discontinued in 2014 thanks to poor sales. Since then, Honda had sort of given up on making hybrids. 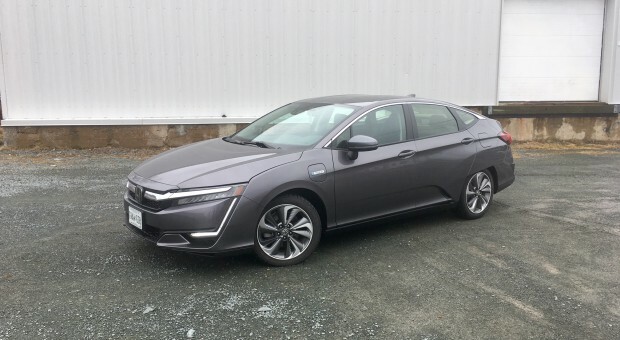 They made hybrid versions of their staple cars, the Civic and Accord, but they didn’t have a dedicated hybrid in the line-up – until now that is. The Clarity is the latest swing of the bat from Honda. Is it a swing and a miss, or does it have the potential to be a homerun? First things first, let’s talk about that styling. If Honda wanted to design something that caught the eye of passersby, they certainly succeeded. Whether or not those passersby liked what they saw is another question. 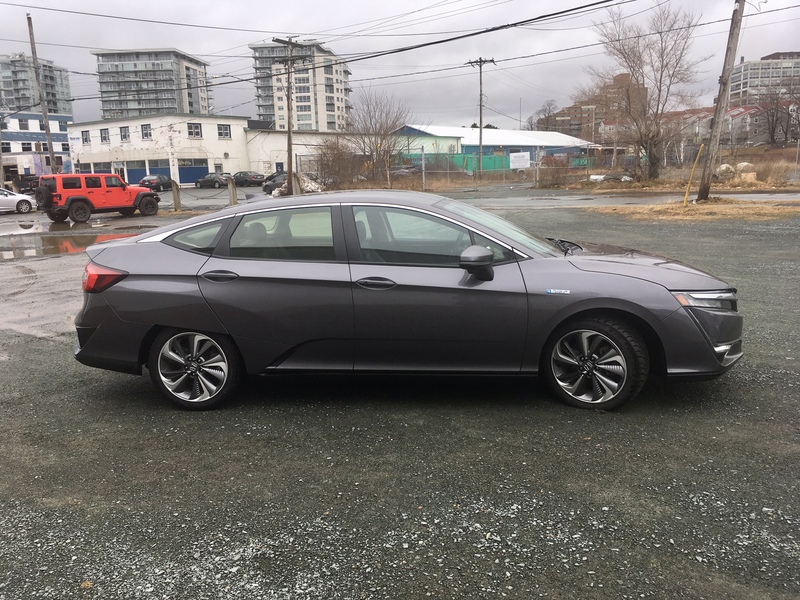 The all-new Clarity takes a similar size and shape to the much unloved Crosstour (which also was discontinued after only a short time on this planet thanks to slow sales). Except while the original Crosstour was bulbous, this new shape takes on much sharper lines. Up front is quite busy with an array of sliced LEDs and large amounts of chrome. 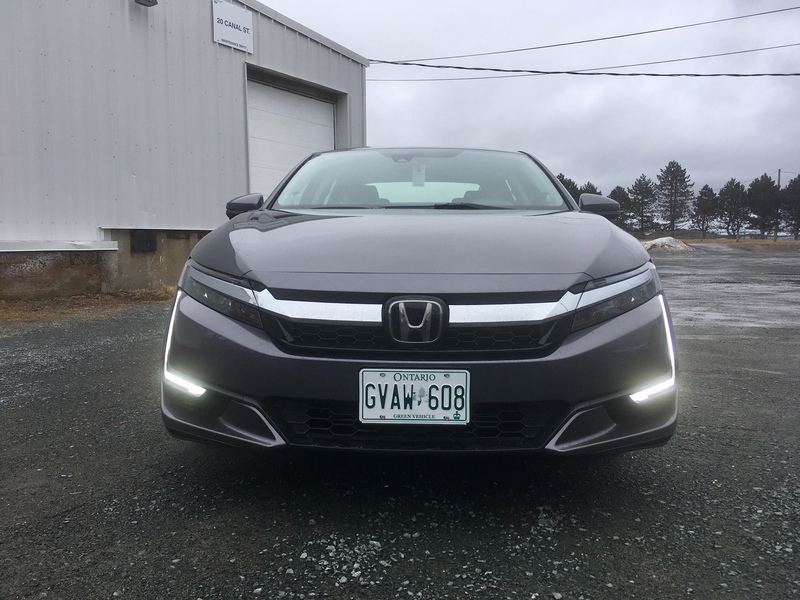 The L shaped LED daytime running lights are eye-catching, but overall the look is a bit too busy for my tastes. Chances are, if you’re turned off from the front-end styling, the side profile and rear quarter angle won’t be pleasant to your eyes either. The asymmetrical wheel wells were a huge sticking point for those who saw it and the overall business of the creases and lines seem entirely unnecessary. 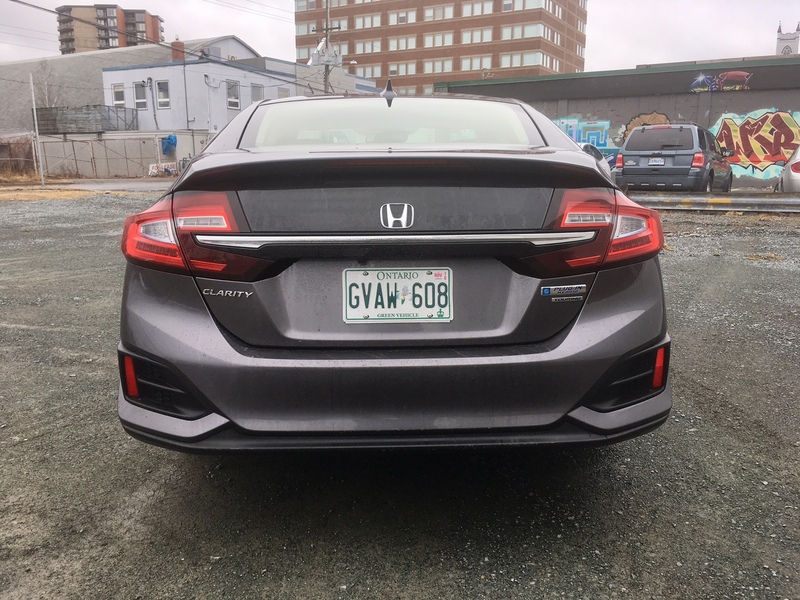 The rear is probably the least polarizing angle with a traditional looking taillight design (all LEDs here too by the way) and a rounded off shape reminiscent of a hatchback. The catch? Well this isn’t technically a hatchback since the rear glass doesn’t rise with the trunk lid when opened. This was an odd choice in my opinion. Inside is typically Honda, though that means a few problems. The Clarity was developed at a time when Honda thought omitting a volume knob was a good thing. It was also developed at a time when Honda may have arguably had the worst infotainment system set up in the industry. And while taking the steering wheel from the larger CR-V may have been smart from a business perspective, the whole looks just feels old-school Honda despite being one of the newest products in its lineup today. 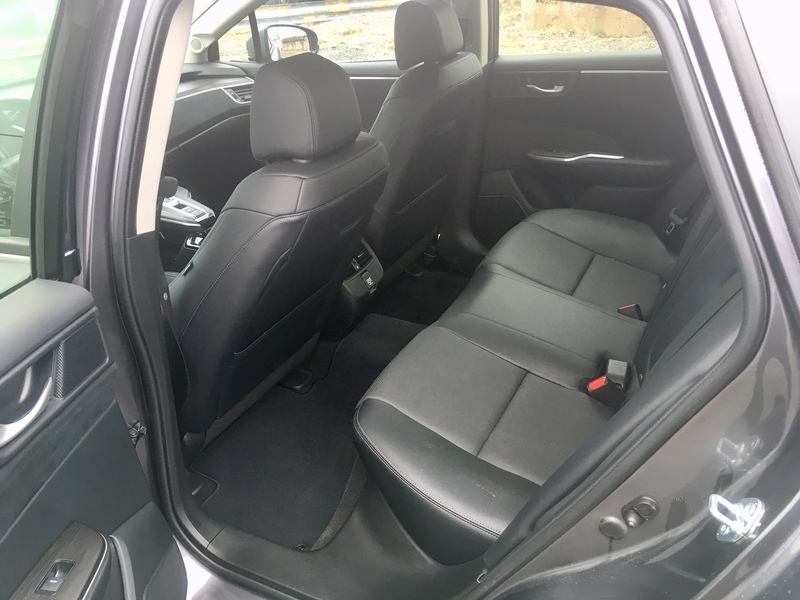 Since the Clarity is about Honda Accord sized, there is plenty of room for most inside, including the rear seats. 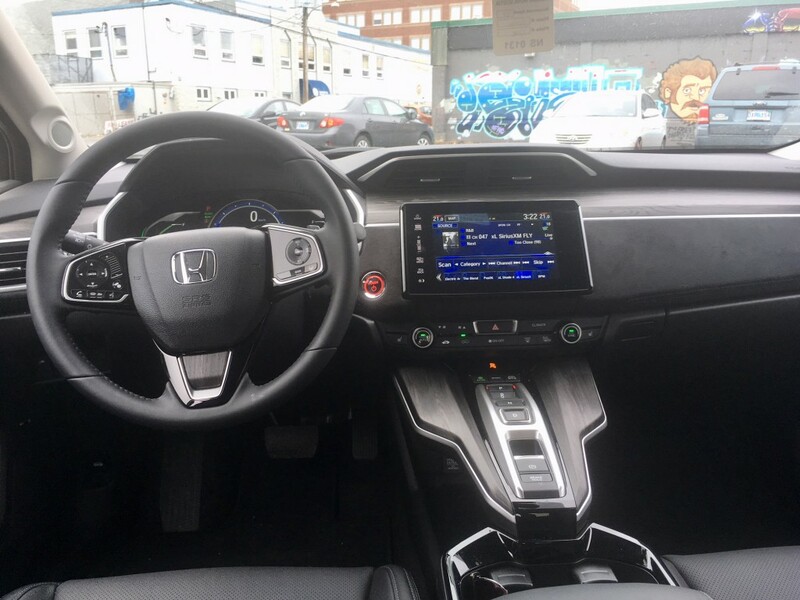 Quality of materials are good and while most don’t seem to like Honda’s push-button gear shift, it’s clearly here to stay and in my opinion it’s fairly easy to get used to. The Clarity’s trunk is both large and deep, though it would be a lot easier to access your cargo had Honda just gone and made the Clarity a hatchback. Still, it can hold a healthy 439 litres of cargo – again, just shy of the Accord. 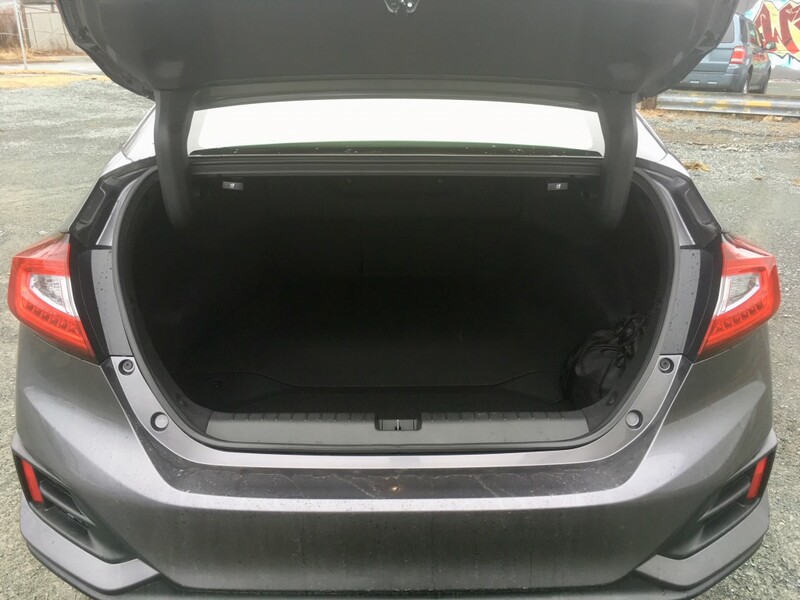 The battery pack, located underneath, doesn’t impede cargo space too much. Now, one thing I haven’t mentioned yet is that yes, the Clarity is a hybrid, but it’s a plug-in hybrid. This gives it the ability to run up to 70 kilometers purely on electric power if you’ve plugged it in the night before. This could mean, depending on how far you live from your job, you could do your daily commute without using any gas at all. That’s an appetizing thought. If it so happens that you work further than 70 kilometers away, once the battery becomes depleted, the Clarity’s 1.5 litre engine springs into play to give you an extra 500 or so kilometers of driving. The combined power of the engine and the electric motors powered by the large 17 kWh battery pack comes to 212 horses mated to a continuously variable transmission. 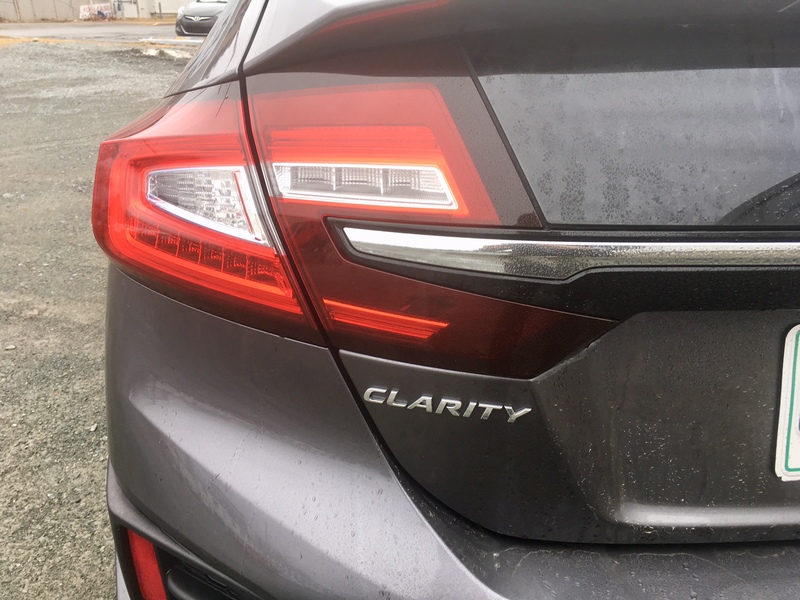 I would stop short of calling the Clarity’s ability to propel itself forward as energetic (excuse the pun), but it certainly suffices for most driving situations. When pushed hard there is plenty of engine whine to remind you that while the Clarity can reach higher speeds, its purpose is to save energy and gas. At the end of the day, you can plug the Clarity into a regular household outlet which will take around 12 hours to charge, or you can pony up for a 240 volt charger which significantly reduces charge time to about two and a half hours. The large battery doesn’t impede too much in terms of driving dynamics. It’s a heavy vehicle, but the Clarity is still quite comfortable and can take a corner with minimal body lean. 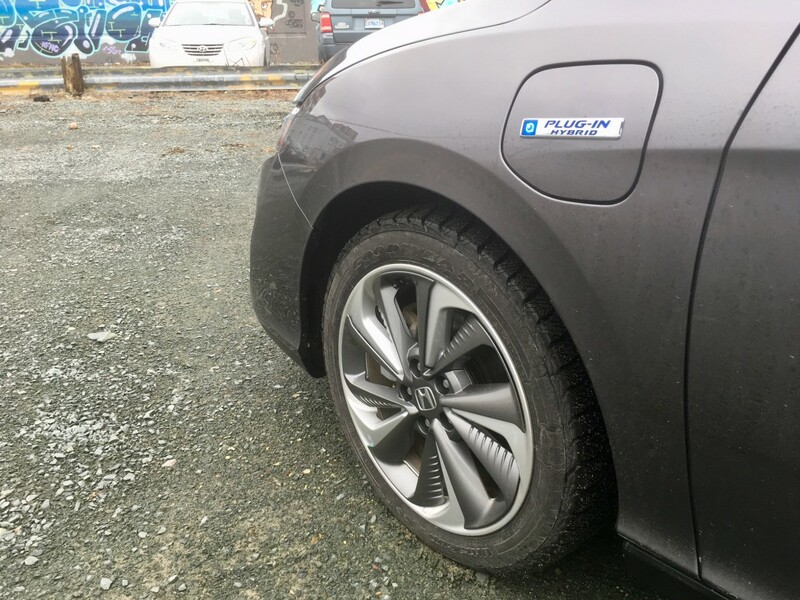 Those ultra-efficient low rolling resistance tires won’t like any sort of spirited cornering though, as they wail and screech and any sudden movement of the steering wheel. On the highway, the Clarity settles down into a comfortable cruiser. My Touring tester came with a host of extra safety goodies including adaptive cruise control, lane keep assist and blind spot monitoring. On the highway with cruise control engaged though, it seems as if the variables that may force it to adjust its speed, such as a slower moving vehicle or a steeper grade, tend to throw it off kilter quite easily. The speed can drop dramatically as a result, making the engine work harder to get it back at the set speed from the cruise control, which means more gas used. I don’t remember experiencing this issue in any other Honda product equipped with adaptive cruise control. Natural Resources Canada rates the Clarity’s 1.5 engine at 5.3 L/100 kms city and 5.9 highway. The battery has a rating of 2.1e L/100 kms. Vehicles like the Clarity would seem to make a lot of sense for those wishing to own a Tesla but can’t due to financial constraints. You get all-electric driving available and aren’t stuck when it gets depleted. It’s far cheaper than a Tesla as well. But is it actually worth it? Well the Clarity still isn’t a cheap vehicle. Starting at $40 grand is still a tough pill to swallow for most. That high initial cost over a traditional car such as the Accord, which starts at nearly $15 grand less, would buy you a lot of gas. Of course, that price equation largely depends on where you live. 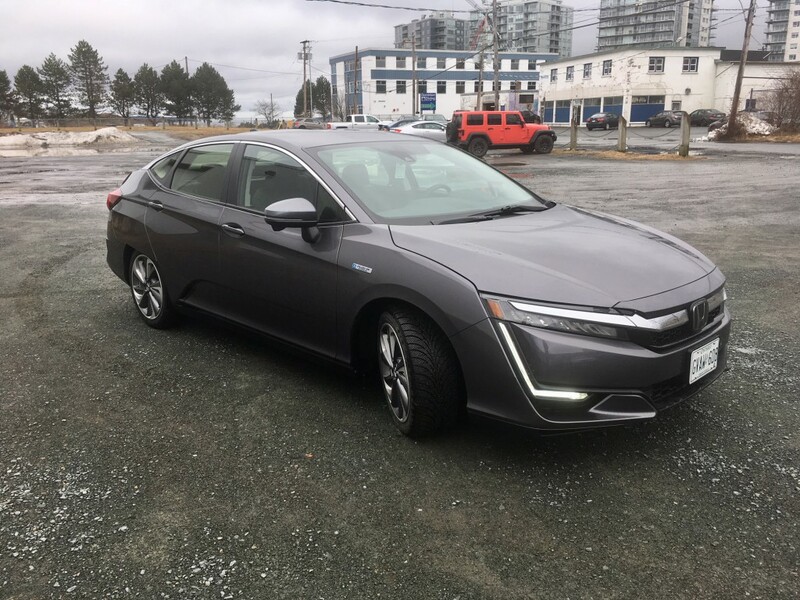 In Ontario, the provincial government will give you $14,000 back for buying a plug-in vehicle. In Quebec you’d get $8,000 and in B.C you’ll get $5,000. Here in Nova Scotia, the provincial government is all too happy to offer you the exact sum of zero dollars for doing your part to save the environment and associated resources. Thanks for that. But taking the money equation out of it, the Clarity is a decent step forward within this segment. Is it the best plug-in I’ve ever experienced? That part I’m unsure about. 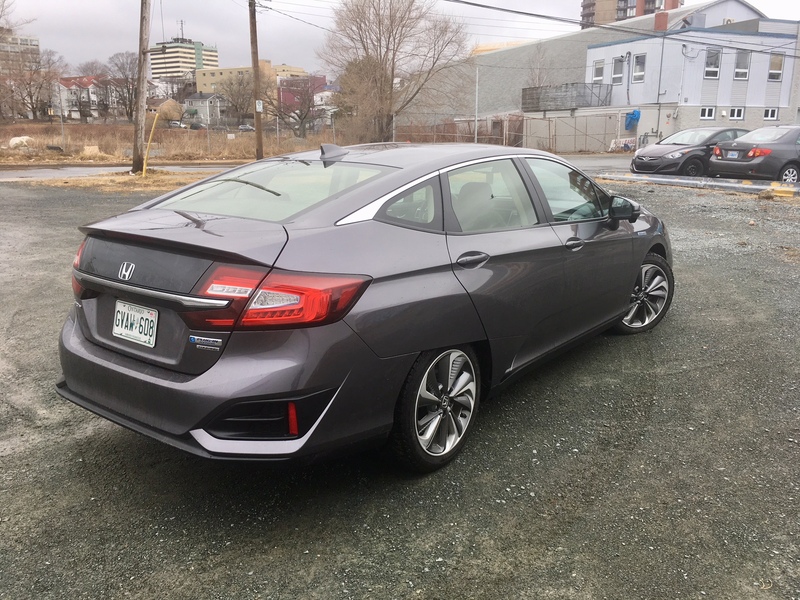 It is impressive to be sure – I can’t think of too many vehicles of this size and weight that can return such efficiency numbers, but I also can’t help think that, having experienced many Honda products before, they could do better. There’s something that doesn’t feel quite ‘Honda-like’ about it, which is hard to put a finger on. But the Clarity might just be a stepping stone to bigger and better things. The company has recently announced it is bringing back the Insight. Though in a huge missed opportunity, the Insight will be reincarnated as a sedan. Why can’t hatchback lovers get the efficiency treatment too? 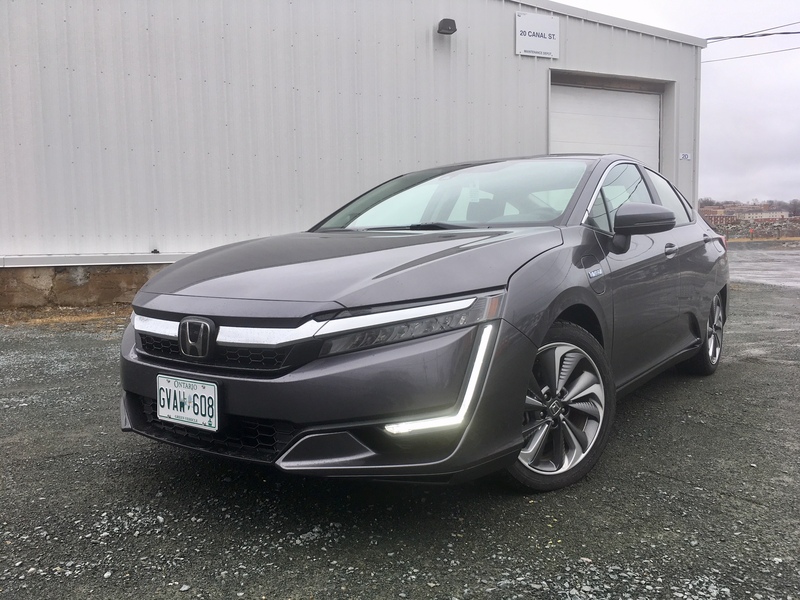 Regardless, hopefully Honda sticks with developing this hybrid tech because as far as the oil supply and environment are concerned, there isn’t a hell of a lot of time left, and Honda’s rivals are developing new tech quite quickly.